Wilsonara is a very variable Intergeneric Hybrid. 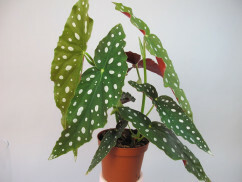 There are both large-flowered varieties and small-flowered "Multiflowers". 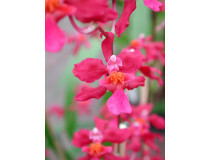 Wilsonara combines the best qualities of the following genera: Odonttoglossum x Cochlioda x Oncidium. The official abbreviation for this genus is Wils. Some of the most beautiful varieties are Wils. Intermezzo (bright red and small-flowered, many flowers on a stem), Wils. Stirling Tiger (bright yellow with orange-brown marks). Wilsonara prefers a temperate and partially shaded location. Temperatures between 16 and 18 °C are ideal. 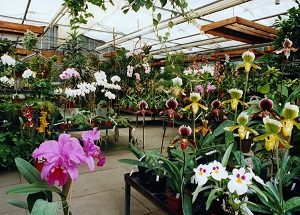 Only diluted liquid orchid fertilizer should be used. Tip: Always use half of the concentration stated on the packaging. 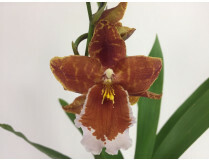 Although most Intergeneric Hybrids usually bloom in the short-term season, plant growth is important. The more shoots the plant makes, the more flower stalks it can have.